Corporations planning tablet purchases next quarter overwhelmingly voted for Apple's iPad, a research firm said Tuesday. Of the 1,000 business IT buyers surveyed last month by ChangeWave Research who said they would purchase tablets for their firms in the coming quarter, 84% named the iPad as an intended selection. That number was more than ten times the nearest competitor and was a record for Apple. "The percentage reporting they'll buy Apple iPads has jumped to the highest level of corporate iPad demand ever seen in a ChangeWave survey," the company said in a blog post. Apple's share of future business purchases has never been lower than 77% in any ChangeWave survey, which go back to November 2010. Just over a fifth of all IT buyers -- 22% -- confirmed that they would be purchasing tablets for employees in the April-June quarter, ChangeWave said. While Apple's stock among corporate buyers rose by seven percentage points from the 77% that tapped the iPad as their preferred device last November, all other tablet makers' numbers dropped in the most recent survey. Samsung, for example, was the choice of 8% of the buyers who said they would purchase tablets in the second quarter, down two points from November. Amazon's 6% was off a point. Asus, Hewlett-Packard, Dell, Lenovo, Motorola and Research in Motion also lost one or two percentage points of future purchasing share with enterprises. The key to the iPad's dominance, ChangeWave has said before, is its high satisfaction ranking. 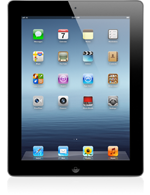 In a November 2011 survey, 74% of iPad owners said they were "Very Satisfied" with the device, 25 points higher than users of other tablets. Apple regularly touts the fact that most of the Fortune 500 firms have bought iPads -- it did so again last January in a quarterly earnings call with Wall Street analysts -- but it does not release business-only sales figures. Starting Friday, companies for the first time will have two different Apple tablets to choose from: Last year's iPad 2, which now costs $399 for a 16GB Wi-Fi device, and the $499 new iPad with a higher-resolution screen. The new iPad will go on sale Friday. Although Apple started taking online pre-orders last Wednesday, it has exhausted its supply for delivery this week. Current shipping delays are between one and two weeks from ordering. Gregg Keizer covers Microsoft, security issues, Apple, Web browsers and general technology breaking news for Computerworld. Follow Gregg on Twitter at @gkeizer, or subscribe to Gregg's RSS feed. His e-mail address is gkeizer@ix.netcom.com. This story, "Businesses Pick iPad 10-to-1 Over Nearest Rival" was originally published by Computerworld.